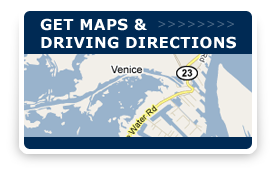 The Venice Port Complex (VPC) is known by the locals as “end of the road,” and fittingly so because it literally lies at the end of the state’s birdfoot Delta that extends into the Gulf of Mexico (GoM). Because of this strategic location at the mouth of the Mississippi River, the VPC, with its multiple deepwater access to the GoM has become the oil and gas hub for the eastern and east central gulf. The VPC has serviced the oil and gas industry for more than 60 years. More than 60 current tenants call the VPC home. Those tenants include major energy and service companies, many of which have plans for extensive infrastructure upgrades. The port offers reliable ground transportation via a levee protected four-lane highway providing deepwater access to the GoM. The VPC is also an extensive multipurpose facility – including heavy industry tenants and major drilling, production, and service companies, as well as commercial fishing and recreational facilities.